It’s the most wonderful time of the year. I love the Holidays because I get to cozy up with my family and watch classic Christmas movies next to a warm fireplace. I get to trim the Christmas tree and come up with new ideas for ornaments and decor. And I get to go shopping! I love getting gifts for others. It makes me so happy to see the expressions on loved ones faces when they get something that they truly love and appreciate. 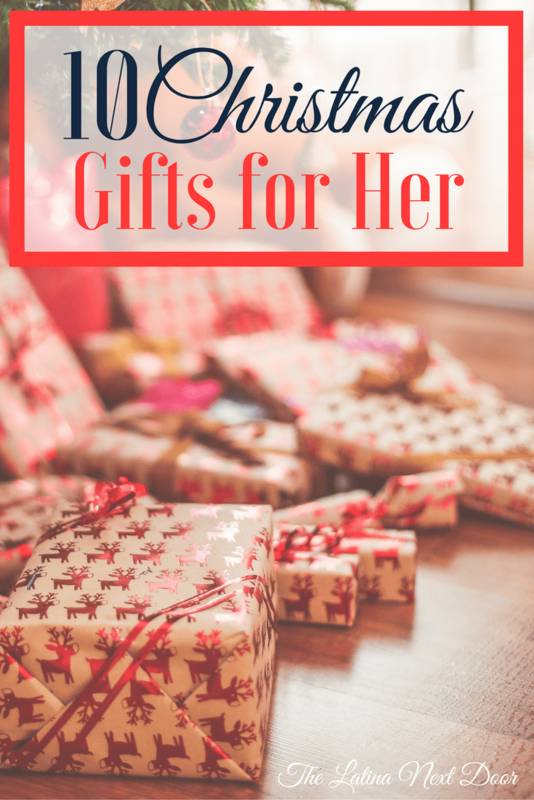 But let’s face it, sometimes it could be really hard figuring out what to get them, so I will be rounding up some ideas for you this season and I am starting off with 10 great Christmas gifts for her. If you know me, you would know that I have a true love for Michael Kors! I love their clothing and their handbags, but surprisingly enough, I don’t have any of their jewelry (how does that happen, hubby?! Hint, hint). And I just happened to have found this MK Rose Gold Bracelet. It’s gorgeous and simple, plus I am totally trying to incorporate rose gold into my wardrobe right now. And it even has FREE SHIPPING! Score! 2. I like to wear scarves out during the winter. Not only can they be a fashion statement but they can keep you extra cozy and warm and who doesn’t appreciate that? I am loving this plaid style right now. I love light colors, but this scarf comes in so many different colors that it would be a good fit for anyone. 3. Know any coffee drinkers? Who doesn’t! Amiriiight!? A simple, yet stylish and thoughtful gift is this Kate Spade To-Go Mug. The gold stripes make it super stylish, but she also has several other styles, if stripes aren’t your thing. 4. Another great idea is gifting a planner for the new year. 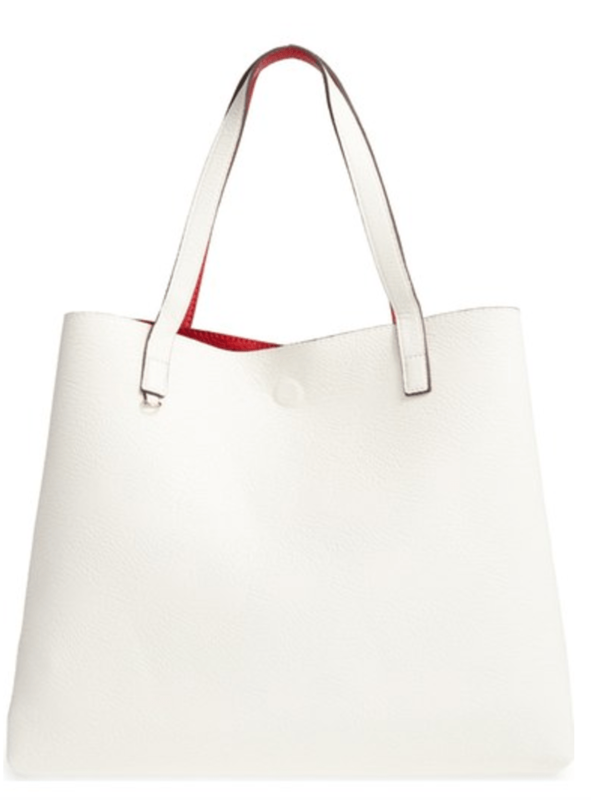 What better way to stay organize, set goals and crush them than with this Kate Spade planner? It’s also pretty to look at too. 6. The cold weather is also an excuse for new and warm PJ’s and I think this “I LIKE YOU” set is so cute! Perfect for any awesome mama or even a college student. 7. It looks like the Choker Necklace is back!!!! Fashion always has a way of coming back, doesn’t it? Should’ve kept my old ones. Well, I will say, that this one is stunning and I won’t lie, I want it! And don’t even get me started on the price. At under $15 it is super affordable! 8. And who doesn’t love to wear a nice black elegant blouse for the holidays. This cold shoulder black tee will go perfect with shimmery or leather leggings so you can work it at any holiday party. 9. I love brown leather purses. They are so versatile and this brown satchel style purse is gorgeous and sure to be loved by even the pickiest mommy fashionista who needs something quick to go, but also allow room for sippy cups and baby wipes. Just saying! 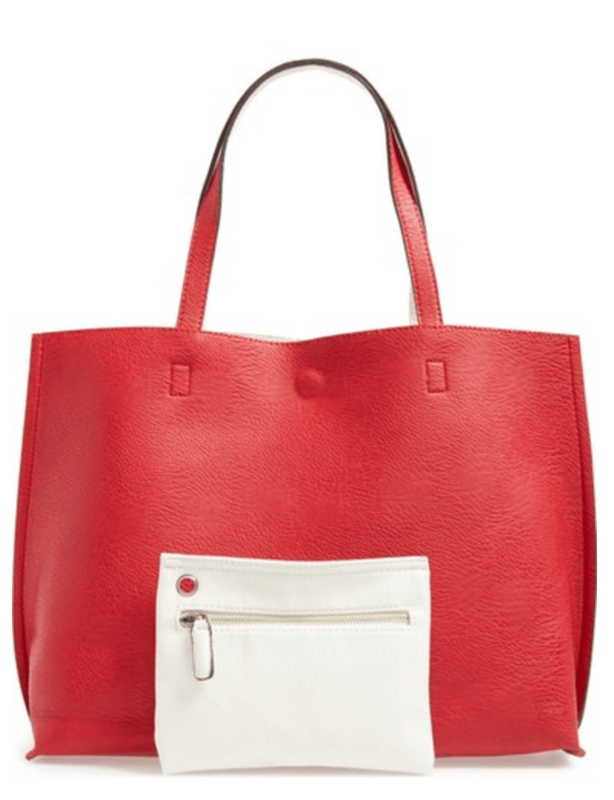 Now if you are like me and prefer a fashionable but much larger “diaper bag” here is a gorgeous Faux Leather Tote that is not only reversible, but comes with a wristlet and is under $50! Say what?!?! It also comes in several colors so it will suit anyone’s taste. 10. Another great option for gift giving is the giving of self-care. This hand soap and lotion caddy is perfect for those who appreciate a little pampering. Plus that ceramic tray is so pretty. I hope this gives you some great Christmas gifts for her as you embark on this holiday season! My favorites are the MK bracelet and those PJ’s! How about you? I will be doing Great Christmas Gifts for Him too so stayed tuned! Hey Judith!!!!! Thanks so much! It’s so good to hear from you. Love ya!!!!!! 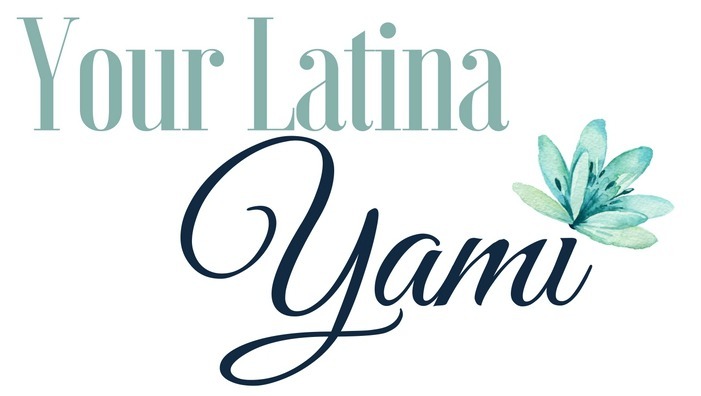 Hi Yami! love the list—especially loved the travel mug for my s-i-l, picked it right up!! Perfect!! It reminded me of her right away. Happy Thanksgiving to you to Marianne! Hope you are doing awesome and so glad you liked the travel mug! It’s so purdy… I am sure your sis-in-law would love it! Love the idea of the travel jewelry box!!! My jewelry always ends up mixed up in a little bag when I travel. Thank you and yes, mine does too! So when I saw that little box, it just made me swoon! Glad you liked it!